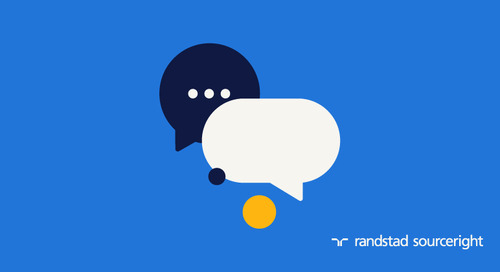 Home » Randstad Sourceright Insights » elevate HR’s value with an integrated talent model. elevate HR’s value with an integrated talent model. Peter Cappelli, the HR management expert, in 2015 authored an article entitled “Why We Love to Hate HR…and What HR can Do About It” in the Harvard Business Review The Wharton School professor noted that HR today is being criticized for focusing too much on “administrivia” and urges its leaders to become more strategic in their thinking. What does he say is one of the most effective ways to do this? To make a real business impact, he contended, talent acquisition has to be one of HR’s top priorities. This should be a core strength of every HR function, executed either through internal resources or by trusted external partners. By delivering the critical, high-quality talent their organizations need, HR leaders enable business leaders to fulfill their strategic vision. As an HR leader, you no doubt realize this firsthand. You see the impact that talent scarcity has on your organization and its ability to grow, so of course talent acquisition has become one of your top priorities. You’ve identified gaps in your processes, looked to strengthen your employer brand and raised talent engagement to a whole new level. Right? However, if your organization is like most, you’re efforts might have had limited impact. Why? Most companies today continue to manage talent in a highly siloed approach — with different stakeholders responsible for different portions of the workforce. Contingent talent, one of the fastest-growing components of the typical workforce, is mostly managed through Procurement, despite its increasing importance to the business. In most organizations, HR lacks visibility of and ownership for flexible talent, which limits its ability to address resourcing needs across the enterprise. HR’s detachment from the management of the contingent workforce can be especially problematic, especially in these times. The evolving workforce and rising talent scarcity require companies to adapt to new realities and be more agile than ever. It’s not so much about cost savings — although that is a weighty consideration — as it is about talent optimization. Think about the chain of consequences when your organization is unable to deliver the appropriate resources to line leaders in a timely manner. From missed business opportunities to product delays to negative effects on customers, the results of poor talent management can be quite significant. As long as companies continue to operate in silos, optimization will never be possible. So what can HR do to gain holistic ownership of talent in their organization? You may be aware that a Total Talent Management (TTM) approach is gaining momentum in many organizations, perhaps even in your own. By addressing resourcing needs based on actual need rather than past hiring practices, TTM ensures the best outcomes in hiring practices. For example, a function in your organization that historically required a team of five full-time equivalents (FTEs) may be better served with a staff of two FTEs, three temporary staffers, several contractors and a Statement of Work (SOW) employee. Such a diverse team potentially brings a broader perspective, deeper experience and more ideas to the function. The point here is that by removing silos, you can truly understand all the talent options that can fulfill a particular task you are trying to achieve. TTM is an exciting concept but it’s also complicated and hard to sell internally. It requires true leadership to comprehend its impact and champion its value proposition. You need to sway the cynics and constantly reassure the supporters. Moreover, it requires HR to learn new skills and put them to practical use. For some, workforce planning with temporary talent will be a completely foreign concept, especially when it involves many different suppliers. In this respect, Cappelli is right. To be loved, HR must become more strategic in the services it delivers. It’s not enough to have great insights into permanent recruitment because workforce composition is rapidly changing. As Staffing Industry Analysts found out in a recent survey of talent leaders, the average proportion of non-employee workers among respondents is 19%, but some employ as high as 46% contingent talent. If your company is among those that heavily depend on flexible talent, TTM is not a choice but an imperative. It might sound intimidating, but embracing TTM may not be as difficult as it seems. We’re seeing more of our clients undertake such an initiative, aided by Integrated Talent Solutions we’ve customized for them. By managing their talent through the combined management and resourcing of Recruitment Process Outsourcing (RPO) and a Managed Services Program (MSP) under a single talent advisory model, we’re accelerating their efforts to optimize talent and, in turn, make an impact on business outcomes. An outsourced solution can save employers years of effort in trying to implement their own holistic program. How can an integrated talent model help your organization reap all the benefits from a TTM mindset? We’ve outlined the entire journey in our Integrated Talent Playbook, a complete volume dedicated to answering why and how an integrated talent solution makes sense for your company. To learn more, click here to request your copy. is a storm brewing for the employer brands of U.K. companies? Does the Brexit foreshadow problems companies in the U.K. may face in attracting global talent? 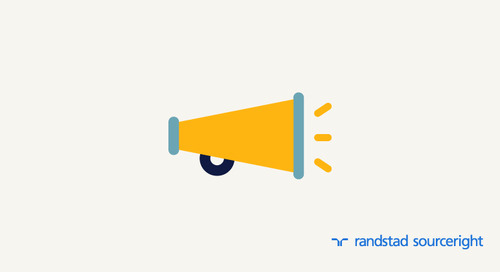 Randstad to acquire Monster Worldwide to transform the way people and jobs connect.